As a theme/amusement park junkie and a QR code marketing junkie, I have spent some time thinking about the usage of QR codes in theme and amusements parks. I live in Central Florida and attend the many different theme parks in our area such as Universal Orlando, Walt Disney World, Sea World and Busch Gardens. While attending these parks, I have seen the usage, or lack of usage of QR codes. In this article, I wanted to show some examples of how QR codes are currently being used but more importantly, share some great ideas of how QR codes can be used in the theme and amusement park industry. I only hope this helps to expand the way you think about QR codes and how they can be used. With the latest release of “Tron: Legacy”, Disney has started using QR codes, but only on their “Tron: Legacy” gift cards sold in their parks. 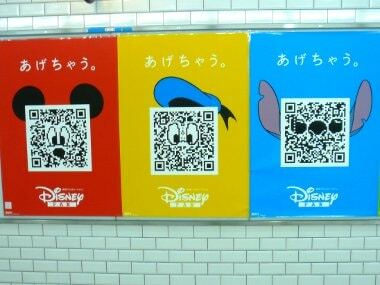 Disney states the usage of these QR codes are “inspired” by Tron technology. When you scan the QR code, it will take you to a site that gives you more information on “Tron: Legacy”. While at Disney this past weekend, I found myself seeing attractions that I have not been on before in the many times I have been. The main reason I have not gone on them is because I never really knew what they were. My son wanted to know what they were so he could decide if they were a ride that he would enjoy and I found my self pulling out a park map and trying to locate the short description of the ride/attraction. While doing this, I thought, there has to be an easier way of looking up information on these rides and that is when it dawned on me. Why not post a QR code out in front of the ride or attraction that links to a page with photos and information or even better, a short video commercial for the ride/attraction. In your park map, theme and amusement parks can place a QR code to give you more information on information listed in the map. Parks can use these QR codes to promote the shops, restaurants, food stands and even rides in their park map. One idea would be to have a QR code for each themed section of the park. When you scan the QR code, a page will open up that tells you all about the themed section and what attractions are in this section. Theme and amusement parks can add a QR code in their park maps and in front of their restaurants that will lead to a menu allowing visitors to view current prices and menu items. Theme and amusement parks can even take it to the next level by allowing you to make your reservation right from your mobile phone through the QR code link. This is a fun idea that would add another level of fun for theme and amusement park visitors. Basically you start with one QR code that will give them a clue as to where to find the next one. Use these QR codes to lead visitors around you park showing them attractions and hidden treasures that they normally would have passed up. At the end, the prize can be something as simple as an express or fast pass putting them to the front of the line of a ride that they choose. They sky is the limit on what you can do with this type of game. Please let me know of other great ideas on how QR codes can be used in theme and amusement parks. Who knows, next time you visit Disney, you may see QR codes based off ideas shared here. Two of my favorite things… QR and roller-coasters! Thanks for the great insights. Imagine standing in line for 2 hours to ride a popular coaster… if they had QR posted along the route with updates on wait times or trivia to entertain while you waited that would make the line-up more tolerable. 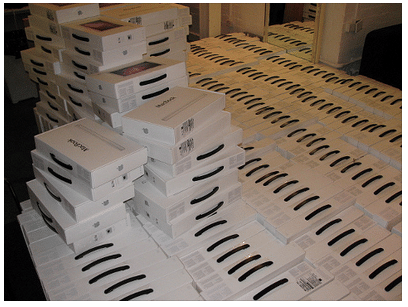 Each time you arrived at a new QR code you’d be entertained for a while and one step closer to the excitement.